Sony has lashed out at Nintendo and Microsoft, accusing its two console rivals of bribing games developers to cheat their way to the top. Sony Computer Entertainment America (SCEA) boss Jack Tretton criticised the "different approach" that its rivals have taken. He said that Sony was taking the honourable path. "We have a very different approach to exclusives than some of our competitors," he told our sister magazine PSM3 . "We don't buy exclusivity. We don't fund development. We don't, for lack of a better term, bribe somebody to only do a game on our platform. "We earn it by saying, 'You can build a better game on our platform. If you focus your development on our platform, you will ultimately be more successful. We can try to partner up with you from a technology standpoint. We can try to partner up with you from a marketing standpoint. But just economically and technologically, this is the system that makes the most sense for you.'" Sony is obviously very concerned about the current situation in the console market. 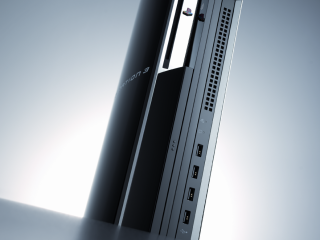 The PlayStation 3 is being outsold by the Nintendo Wii , Microsoft Xbox 360 , the PlayStation 2 and also the big two handhelds - the Sony PlayStation Portable (PSP) and the Nintendo DS Lite . It's interesting that Sony should attack Microsoft for securing exclusive deals with games developers. Games franchises such as FIFA and Pro Evolution Soccer are currently Xbox 360-only. But Sony is no stranger to sealing exclusive games deals - titles in the Grand Theft Auto series have been PlayStation 2 exclusive in the past.